The Brook Street Band www.brookstreetband.co.uk was formed in 1996 by baroque cellist Tatty Theo and has since established itself as one of the UK’s foremost interpreters of Handel's music. The name comes from the street in London's Mayfair where George Frideric Handel (1685-1759) lived and composed for most of his working life. 25 Brook Street has been restored and is open to the public www.handelhouse.org . In addition to cellist Tatty Theo, the members of the Band are Rachel Harris (violin), Farran Scott (violin) and Carolyn Gibley (harpsichord). The Brook Street Band has performed and taught extensively at prestigious British and European Festivals as well as UK concert venues including Wigmore Hall, St. John's Smith Square and The Maltings, Snape. The Band regularly broadcasts for the BBC. The Band has released eight recording for Avie Records www.avie-records.com/artists/brook-street-band that have all received high critical acclaim with the Band's debut disc Handel Oxford Water Music and JS Bach Trio Sonatas selected as Gramophone Magazine Editor's Choice. The Brook Street Band have already recorded for Avie Handel’s Op.2 and Op.5 Trio Sonatas (AV2282 and AV2068). Released this month by Avie is a collection of the seven remaining of Handel’s Trio Sonatas for Two Violins and Basso Continuo bringing together works from across the composer’s life composed over a period of around thirty five years. Known as both a trio sonata and orchestral work, the Sinfonia in B flat, HWV 339 was probably composed by Handel in Hamburg around 1704-1706 making it one of the earliest works on this disc. The Allegro opens with some really vibrant playing from The Brook Street Band with closely woven textures from these four players and some terrific shaping and dynamics. The harpsichord lays down some lovely slow phrases in the opening of the Adagio over which the strings bring a fine melody, revealing the most lovely textures and sonorities with such well-judged phrasing. 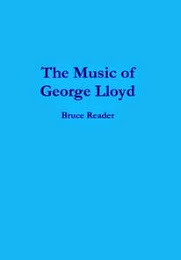 The work concludes with a bright and sunny Allegro that has a fine rhythmic spring, these players finding a lovely spontaneity and natural flow and more fine sonorities. Along with the trio sonatas HWV 393 and 394, Trio Sonata in F, HWV 392 is known as one of the Dresden Sonatas and is thought to date from around 1706-1707. It has a beautifully woven Andante finely paced by these players who bring such an appealing quality. The Band work up some terrific textures and timbres in the lively Allegro, weaving some fine lines, full of verve. They draw some exquisite sonority from the Adagio before bringing crisp, lively playing to the Allegro, full of energy and with wonderfully taut ensemble. The earlier version of Handel’s oratorio ‘Esther’ was for a performance at the Duke of Chandos’ residence ‘Cannons’ in Edgware, Middlesex where there were limited instrumental forces. This makes the overture an ideal work to perform as a Trio Sonata. The Brook Street Band bring a lovely rhythmic lilt to the Andante of the Trio Sonata in B flat, HWV 50a ‘Esther’ revealing a quite beguiling melody, beautifully shaped that sticks in the mind. They bring out many subtleties in the Larghetto finding the most lovely, rather melancholy harmonies. The Allegro brings some crisp, lithe, foot tapping rhythms as the Band weaves some very fine lines - a real joy. The Brook Street Band brings a lovely poise to the Andante of Trio Sonata in G minor, HWV 393 with a gentle, subtle rhythm and the most gorgeous textures. They find a terrific forward propulsion in the Allegro as they weave some quite brilliant textures. They bring a leisurely Largo revealing Handel’s lovely overlay of musical lines. Handel’s fine rhythmic pulse in the Allegro is overlaid with the finest textures. Exquisite textures and sonorities open the beautifully shaped Adagio of Trio Sonata in E, HWV 394, each player bringing a particularly fine timbre, beautifully shaped and phrased with some lovely little details. The Allegro scoots along wonderfully, these players bringing a light touch before extracting the most lovely, sweet tones in the Adagio, gently moving ahead, shaping and pacing the music to perfection. They bring the fine Allegro alive with fine shaping of phrases, lithe rhythms and a terrific interplay between players. Handel drew on ideas from Reinhard Keiser’s opera Octavia for the Trio Sonata in C minor, HWV 386a. These players draw some fine sonorities from the Andante, each player providing their own timbres and textures as they weave the theme with so many little details revealed. There is a wonderfully lithe Allegro with some finely turned phrases before the Andante that brings a quite lovely tune that permeates the whole movement and is one that surely many will recognise. It appears in Handel’s opera Agrippina as well as in Act Two of his oratorio The Triumph of Time and Truth. The sonata concludes with a finely sprung Allegro with each player showing tremendous fluency. 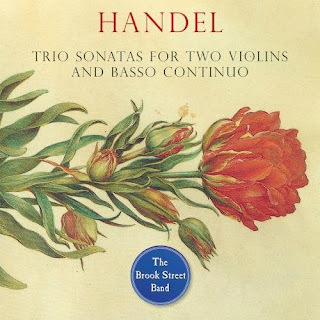 Handel draws upon his oratorio Saul for the Trio Sonata in C, HWV 403 ‘Saul’ with an Allegro that finds a fine tempo, this Band providing a real lightness of touch, weaving some lovely phrases and fine harmonies. They bring a steady tread to the Andante larghetto as they gently weave their way ahead concluding with a beautifully turned coda. They take the Allegro Take forward at a fine pace, each instrument providing some finely turned phrases before leading straight into the final Allegro with terrific phrasing and interplay as each of these players provide finely shaped individual lines. The Brook Street Band bring some spectacularly fine playing to these works, lithe, and beautifully shaped with some lovely sonorities and terrific ensemble, not to mention moments of terrific spontaneity. They receive a vivid recording from Raveningham Church, Norfolk, England and there are excellent booklet notes from The Brook Street Band’s cellist, Tatty Theo. This is a Handel disc not to be missed.